On Tuesday in the BC West Thames 1/2/3 event Alex Pierce was placed 19th, Sam Grant 22nd and Daryl Lusardi 28th . 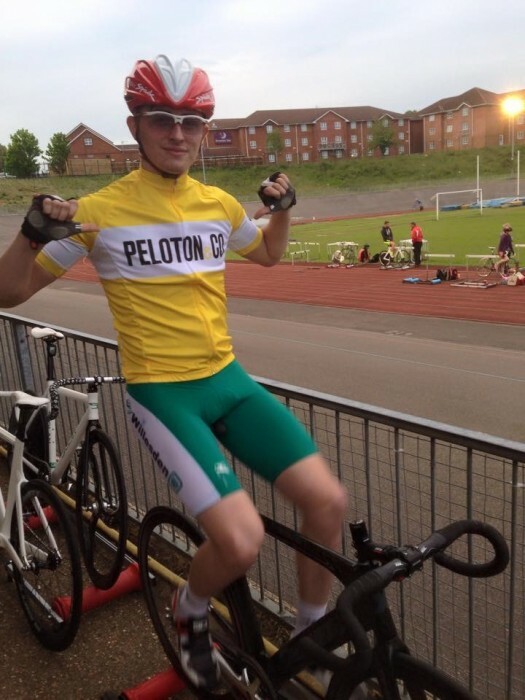 Kye Lewis went to Herne Hill Track to ride in the Youth Omnium series finishing 14th out of the 28 riders. Here is a picture of Alex Pierce wearing the leader’s bib at Welwyn after last week’s results when he won the elimination race.